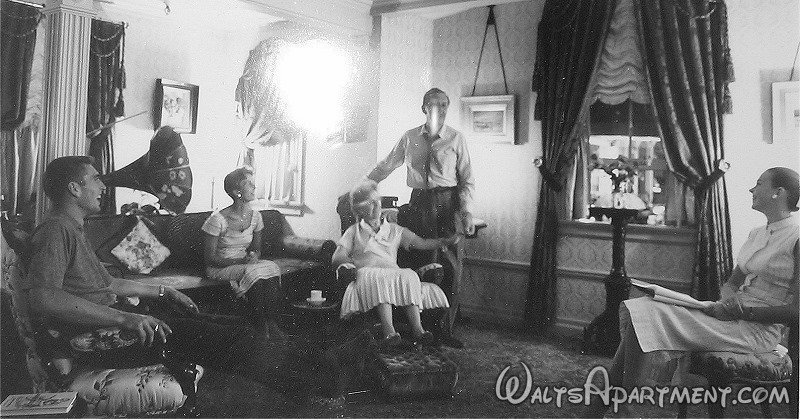 In this rare photo of Walt’s apartment inside Disneyland we see Sharon, Walt, Ron Miller, Diane and Lillian relaxing and having some coffee or tea. 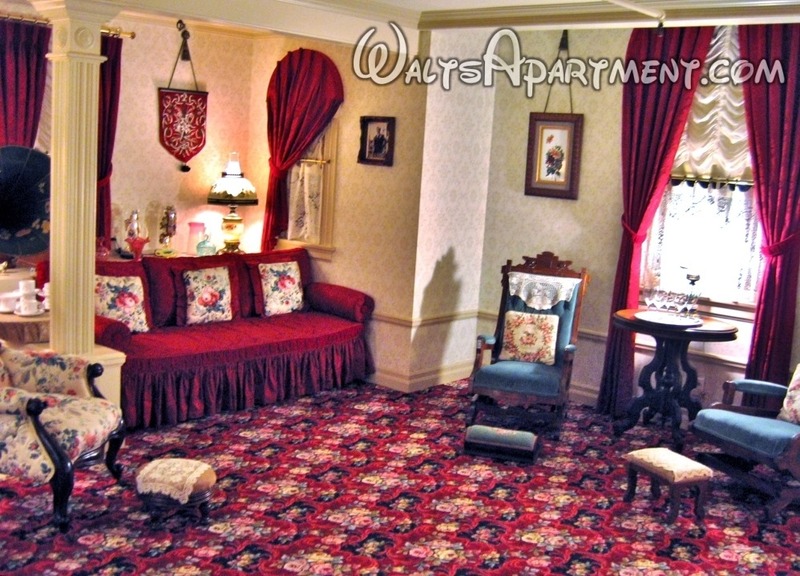 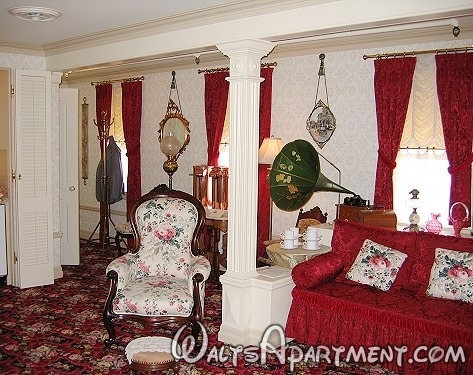 Most of the original furniture from Walt’s apartment was taken home by Walt’s wife Lillian during the years after Walt’s death. 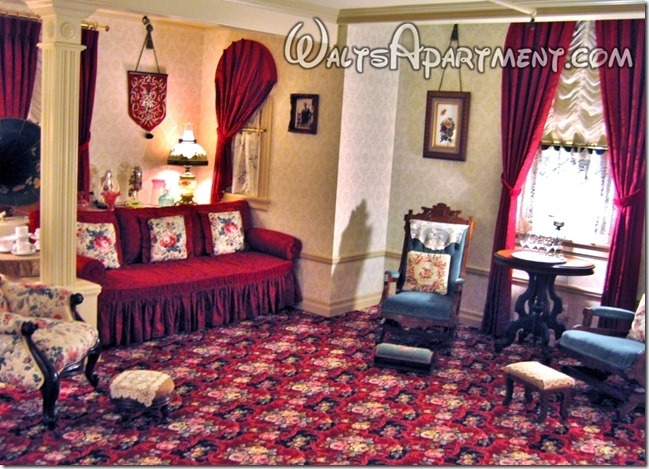 By April 1986, Lillian had made her final visit to the apartment to collect the few remaining items she wanted. 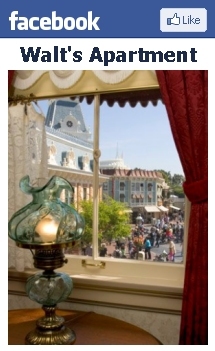 She only returned to Disneyland once or twice more after that but never visited the apartment. 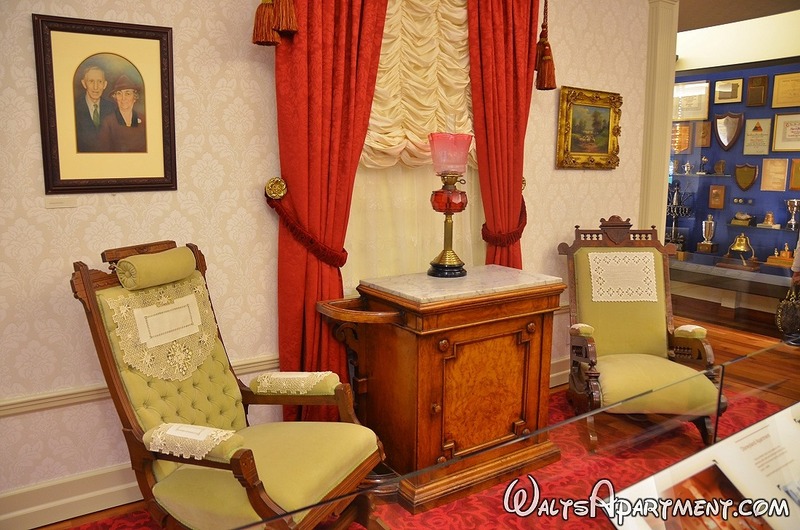 Today, some of the furniture is on display at the Walt Disney Family Museum in San Francisco, CA. 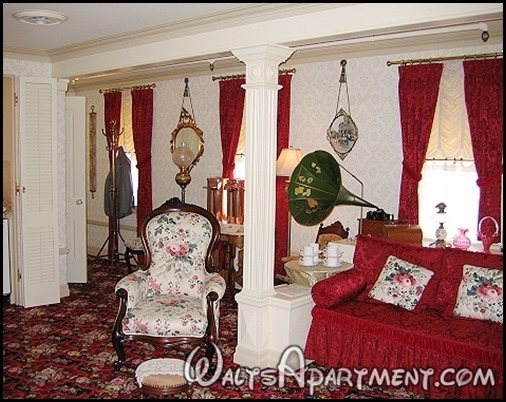 In the photo below, notice the cabinet that the lamp is on… it can be easily recognized in the first photo at the top of the page – Sharon is leaning on it. 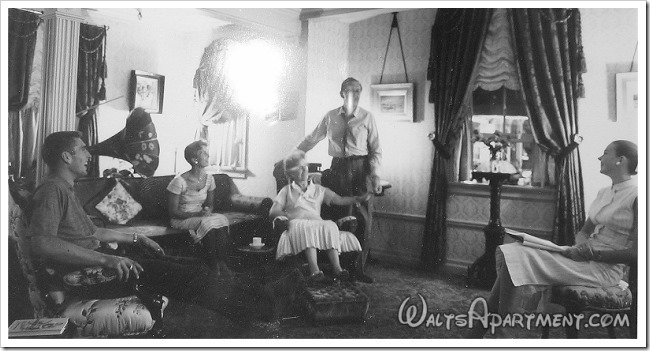 This black and white photo currently sits on display in the apartment and is from the same day as the photo at the top of the page.